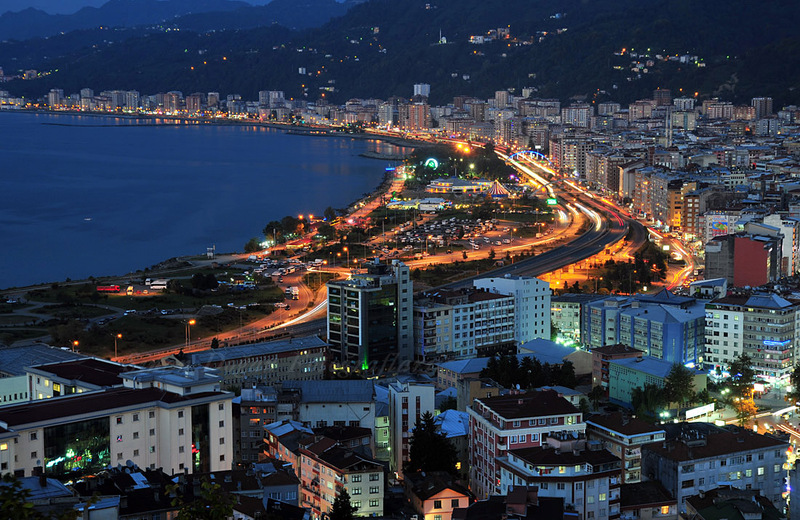 The first written mention of Rize is made by Arrian in a work named Periplus of the Euxine Sea, as a city founded at the mouth of the homonymous river (the ancient and Byzantine). Dated at 130–131 AD and written as a letter to Roman Emperor Hadrian, the work records how its author, the governor of Cappadocia, made an inspection tour of the Eastern Black Sea territories that were part of his jurisdiction, first visiting the Roman Empire’s Eastern Anatolian frontier garrisons before pushing on to the Black Sea coast in the Trabzon (Trebizond) region. The city is built around a small bay on the Black Sea coast, on a narrow strip of flat land between the sea and the mountains behind. 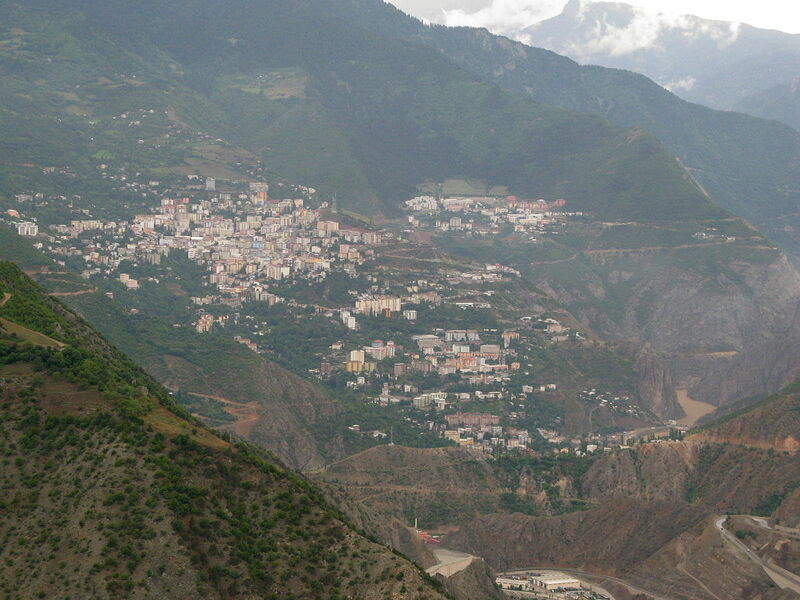 The coastal strip is being expanded with landfill and the city is growing up the steep hillsides away from the coast. 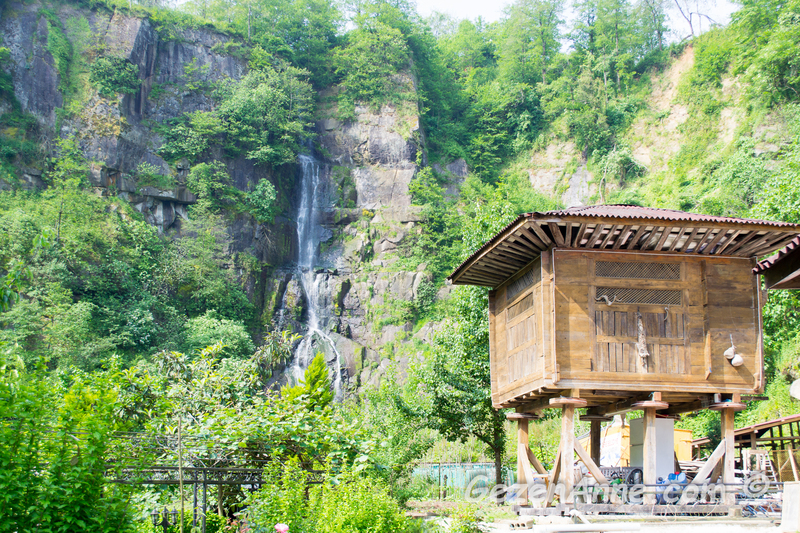 Rize enjoys a mild, extremely wet climate, vulnerable to storms coming off the Black Sea and therefore the surrounding countryside is rich with vegetation and is attracting more and more visitors every year. 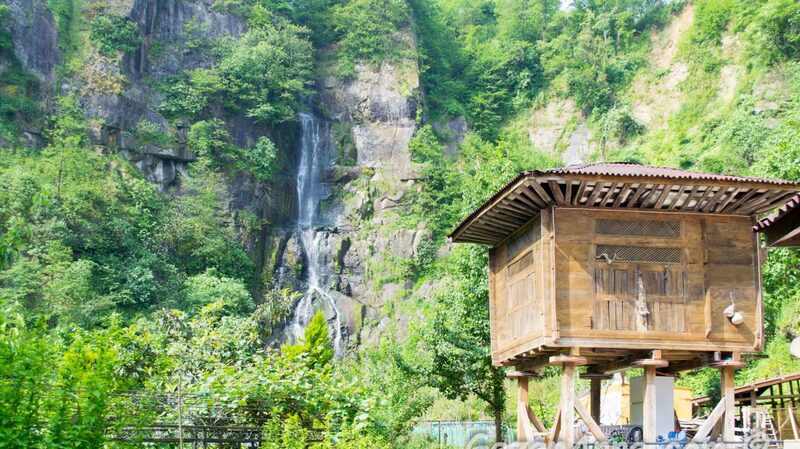 Rize is a center for processing and shipping Rize Tea, the tea grown in the surrounding area. Tea was introduced in the region in the 1940s and 1950s, changing the destiny of the region, which was desperately poor until then. 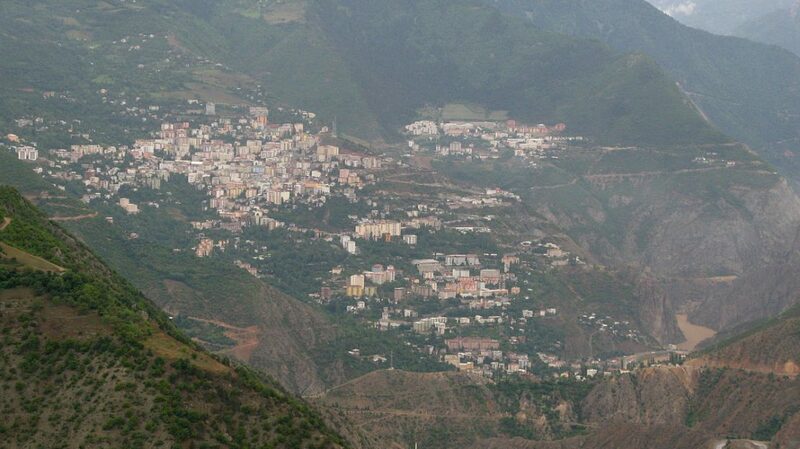 The city has a tea research institute founded in 1958 and tea gardens are the main sight in the town’s panoramic view. Tea and kiwifruit plants are even planted in gardens around the town. The secondary activity is fishing. 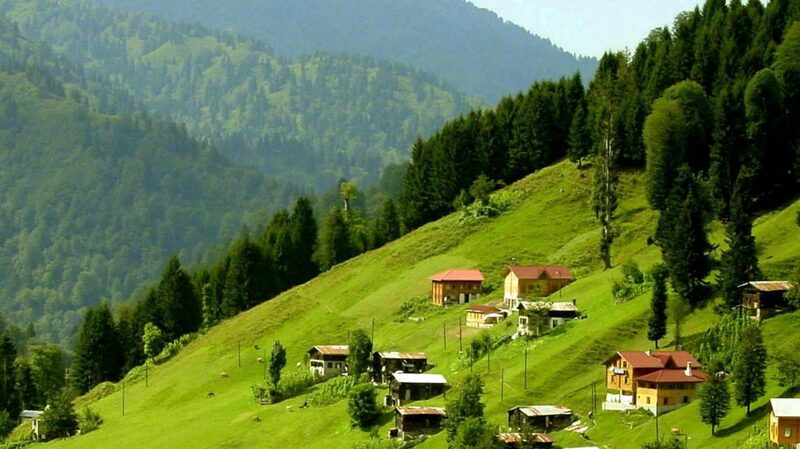 Rize is linked by road with Trabzon (41 miles [66 km] west), Hopa (55 miles [88 km] east on the Georgian border, and Erzurum (north). 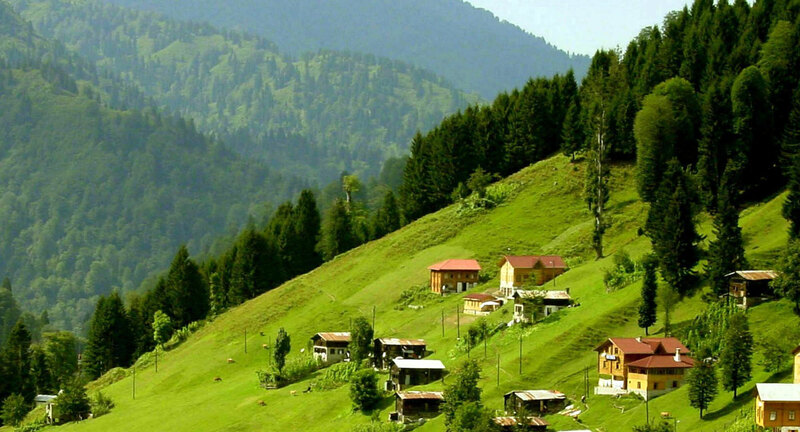 The nearest airport is in Trabzon. 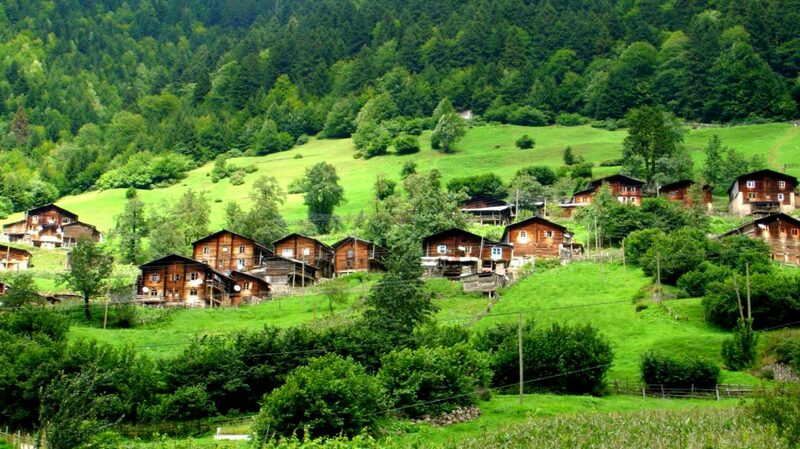 Rize is a quiet town, a typical Turkish provincial capital with little in the way of night life or entertainment. 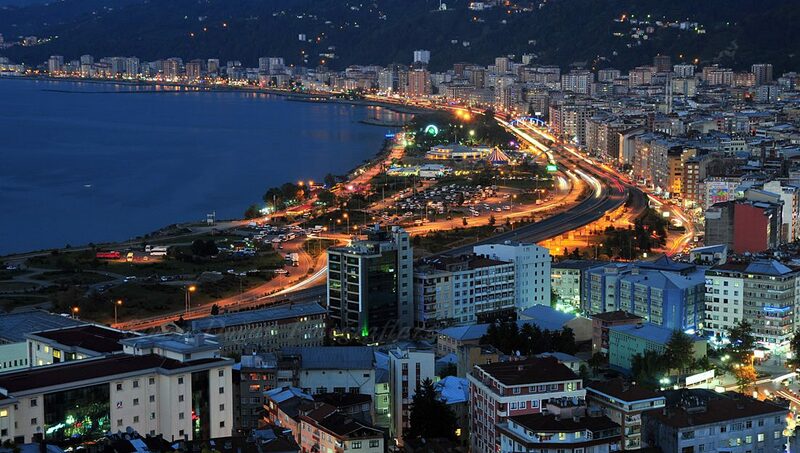 However the border with Georgia has been open since the early 90’s, the Black Sea coast road has been widened and Rize is now wealthier than in previous decades; there are more cars in the streets, higher buildings on the sea front, and some places for young people to go are opening up now. 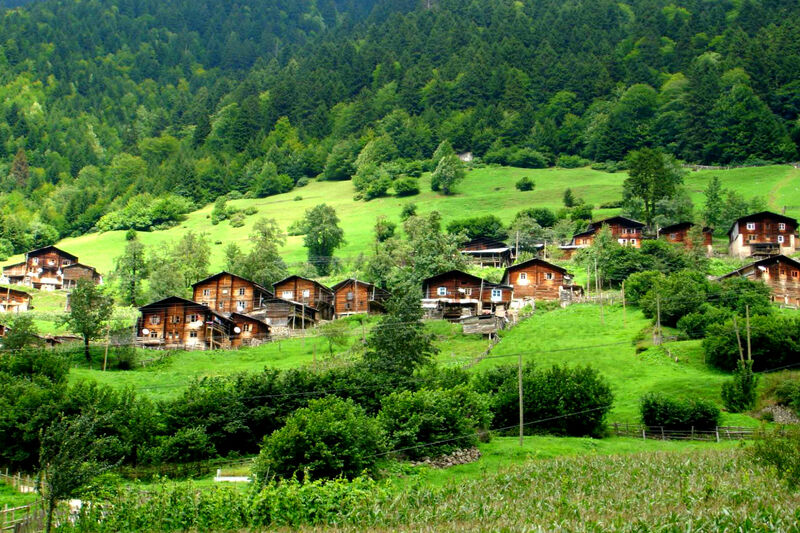 The visitors to the surrounding countryside also contribute to the economy of the town.